This radio belonged to the Carl Smith family of Fayetteville. 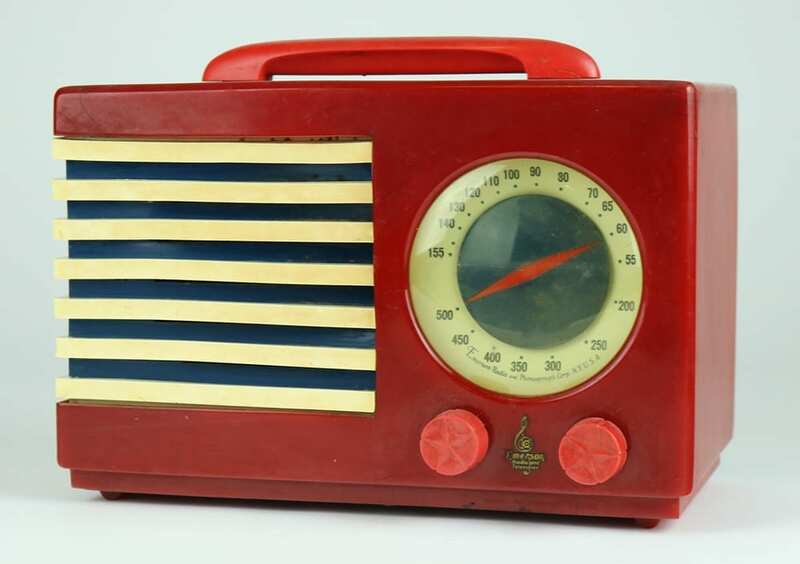 In 1940, with U. S. involvement in World War II on everyone’s mind, Emerson Radio and Phonograph Company and industrial designer Norman Bel Geddes came out with the “Patriot” radio in red, white, and blue colors. The cabinet is made of catalin, a type of plastic similar to bakelite. Patriots retailed for $24.95.